About KC Gripz - KC GRIPZ LLC. KC GRIPZ is more than a grip strengthening system. The companies vision is to change the way people look at fitness in general. With the founders being innovators, as well as strength and conditioning coaches they want to take functional training to a new level by educating the fitness industry on the importance of grip strength. Realizing how important a balanced kinetic chain is to a healthy body they created KC GRIPZ to solve a major issue that was not being properly addressed. It has been scientifically proven that your grip strength is directly linked to your overall strength. If your hands are not strong enough to grip an object, your body through neurological inhibition will protect itself by not allowing you to lift the object to prevent injury. THE STRONGER YOUR GRIP IS THE STRONGER YOU ARE! 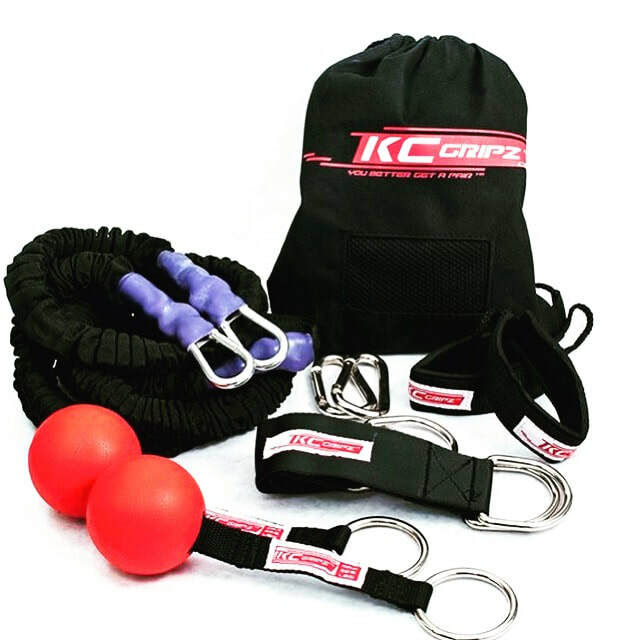 KC GRIPZ is a new Circular Fitness attachment designed to make the pulling motion more difficult to increase your grip strength and overall strength. 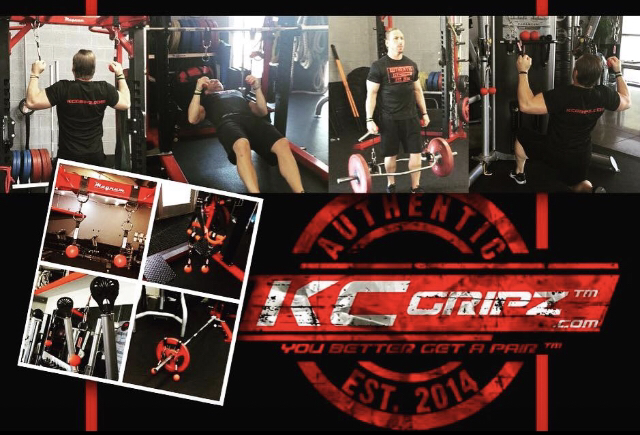 KC GRIPZ can be used safely at home, added to most gym equipment, or on the field/park in hundreds of different applications to build the muscles in your fingers, wrists, forearms, shoulders, legs and core. The Sports Kit has everything you need for sports-specific training, as well as overall fitness training. KC GRIPZ are also an essential tool in the rehabilitation and physical therapy world.